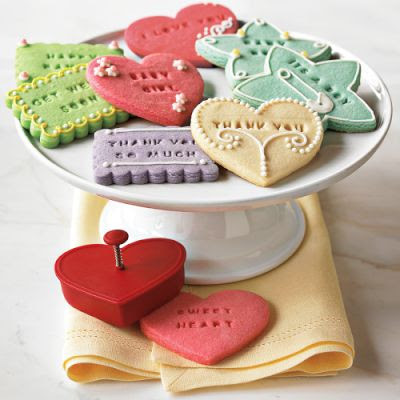 Perfect for Valentine's Day, better yet, a wedding favor with the words thank you & your names imprinted in the cookie. 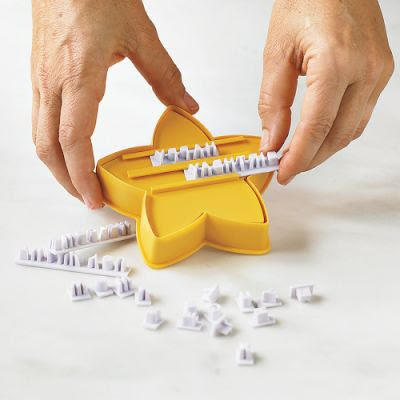 You could even use it as a way to ask your bridesmaids to be in your wedding party. Soo cute. Definitely on my wish list.